The annual forecast for Pisces in 2014 shows Jupiter in your house of love and romance since June 2013. This alignment predicts that you should have fun. Jupiter will remain with you through July 2014 and you will learn that you must take time for yourself. To build a strong relationship you must comprehend the great pleasure of love. In the early part of the year, single Pisceans will probably meet the one they will love. The 2014 Pisces love horoscope predicts that pregnancy is possible for married Pisces. Your marital bond will gain strength during 2014. April 18 will be a day when a sea of change may occur due to the interaction of Venus and Jupiter. On May 24 some time away from home is advisable. A renewal of your connection with your mate may occur at this time. Let yourself be free to enjoy those you care about. On May 6 and June 8, time with youngsters may have a major impact. Travel either for work or providing assistance to another is on the cards. If you cannot take time for vacation you may need to deal with a legal concern or publishing issue. With Venus and Saturn working in concert, November 13 is the ideal time to travel. Those born under the zodiac sign of Pisces tend to overwork; you may feel you are being lazy. As your House of Work and Health contains Jupiter in Leo it is inevitable that coworkers will be rivals. The oddball in the family will provide you a great option for work on July 23. The 2014 Pisces career predictions foretell that you will meet a group of extremely enjoyable people at work. Learning new skills are recommended if you are aiming at a promotion at work. You may choose to do freelancing or start a business of your own. During December of this year, Jupiter will be in retrograde and you will be frustrated by obstacles blocking your path. The job you were hoping to obtain may not be free till early 2015. Clarity will be essential to avoid misapprehensions. Business travel is forecast; however Saturn present in your house of journey predicts no pleasure trips. There may be projects that you are trying to complete particularly involving law or education. Tangles will hold up any publishing work you are working on. It would be wise to draw in your horns while Saturn is retrograde from March until July, as actions will not lead to successful results. 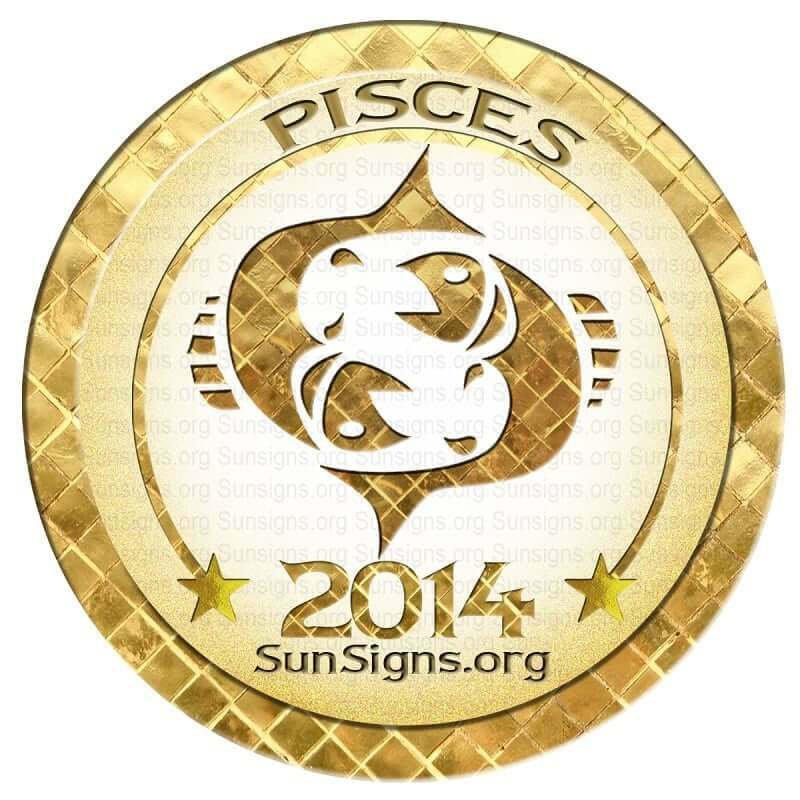 Planning will be the key to a successful 2014 in terms of money forecast the Pisces astrology predictions. Spend within your means. Return on investment may be minimal over time. If you want to know about 2015, read the 2015 Rashifal predictions. Pisces the health forecast for 2014 is not completely favorable. Jupiter in your house of health may cause some issues. Walking for fitness would be a wise choice. If you want to push yourself, a more vigorous workout may be appropriate. Any concerns about your eating plan may require the assistance of a dietitian. July 24 will be a red letter day as it is the perfect time to revitalize your fitness regimen. Keep your focus on your goals and march ahead in January. February is a month of planning and introspection. March is a good time to begin new ventures. April will be full of activity and minor problems. May 2014 will see a dip in your confidence. Do not lose hope. June will be a good month for domestic work rather than your job. July will bring new opportunities. Make the most of them. August will bring many expenses. September will mean balancing home and career. October will be essentially full of financial issues. You will be more diplomatic in November. Use these skills to progress in life. December will bring back focus on career and savings.